Simostronomy: Free Admission to the Adler Planetarium! 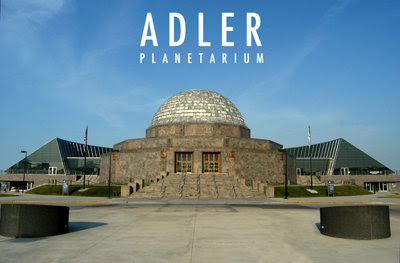 Free Admission to the Adler Planetarium! Run!- don't walk, to the Adler Planetarium today through Friday. Admission is free, thanks to Charter One Discount Days. The Charter One Foundation sponsors these free events frequently throughout the year. Click here for a full calendar. The Adler is a place you and the kids can spend the whole day marveling at the shows and exhibits. Don't tell the kids it's educational and good for them. Just share a glorious day with them and you'll all learn something!